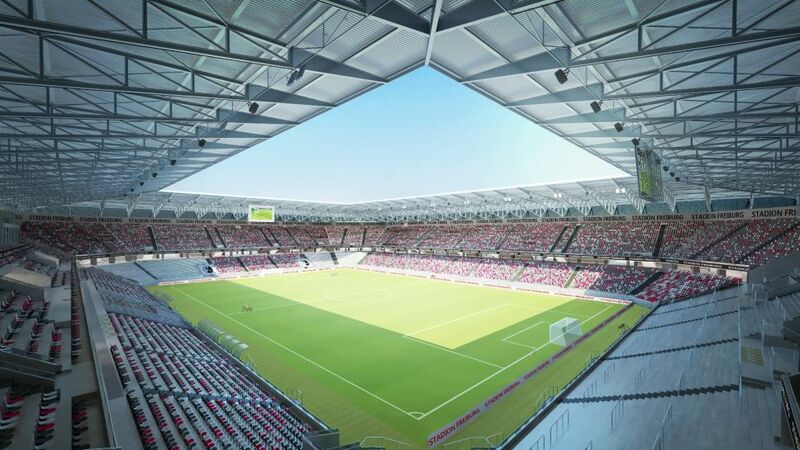 The wait will soon be over for Freiburg fans after the Bundesliga club finally revealed approved plans for a new 34,700-capacity stadium to be built in the Baden-Württemberg city. "It should become a home, support identity and do justice to the high demands of design and functionality," read an official club statement announcing the plans. "There are already so many great ideas and so much passion, love and effort in this stadium – imagine what it will be like when it is brought to life by Freiburg fans?!" "What ultimately makes a football stadium are all the people who are in the stands, generating an atmosphere," said club coach Christian Streich. "You can see this in the plans for the new SC-Stadion – Freiburg are going to get another compact home where the fans will be packed in and lined up close to the pitch, and it's not going to look like just any old stadium either. "It looks great, and the team, coach and fans are going to do all they can together to bring it to life."